"Fascists", "Brownshirts", "jackbooted stormtroopers" - such are the insults typically hurled at conservatives by their liberal opponents. Calling someone a fascist is the fastest way to shut them up, defining their views as beyond the political pale. But who are the real fascists in our midst? The social justice creed is shaping our every daily interaction. It influences how businesses structure themselves. It is altering how employers and employees interrelate. It has utterly transformed academia. It is remaking our politics with alarming swiftness. And there are consequences for those who transgress against the tenets of social justice and the self-appointed inquisitors who enforce its maxims. 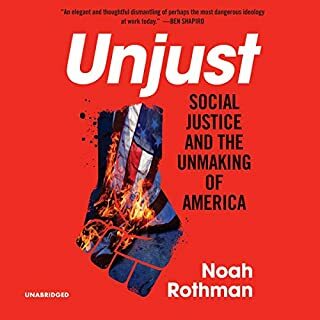 Noah Rothman deconstructs today's out-of-control social justice movement and the lasting damage it has had on American politics, culture, and education and our nation's future. According to Goldberg, if the greatest trick the Devil ever pulled was convincing the world he didn’t exist, the greatest trick liberals ever pulled was convincing themselves they’re not ideological. Today “objective” journalists and academics and “moderate” politicians peddle some of the most radical arguments by hiding them in homespun aphorisms. Something is wrong. We all know it. American life expectancy is declining for a third straight year. Birth rates are dropping. Nearly half of us think the other political party isn’t just wrong; they’re evil. We’re the richest country in history, but we’ve never been more pessimistic. What’s causing the despair? In Them, bestselling author and U.S. senator Ben Sasse argues that, contrary to conventional wisdom, our crisis isn’t really about politics. It’s that we’re so lonely we can’t see straight—and it bubbles out as anger. Local communities are collapsing. American populism has always been home to a fascinating assortment of charismatic leaders, characters, kooks, cranks, and sometimes charlatans who have led the charge of ordinary folks who have gotten wise to the ways of the swamp. Every Man a King tells the stories of America's populist leaders, from Andrew Jackson and Teddy Roosevelt to Ross Perot, Pat Buchanan, and Donald Trump. 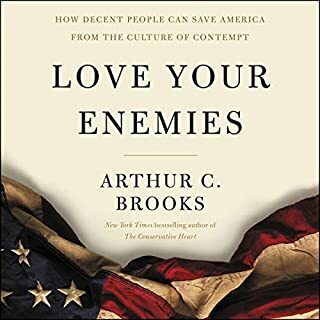 It is a rollicking history of an American attitude that has shaped not only our current moment, but also the long struggle over who gets to define the truths we hold to be self evident. Education delivered in a most entertaining way. In Hate Crime Hoax, professor Wilfred Reilly examines over 100 widely publicized incidents of so-called hate crimes that never actually happened. With a critical eye and attention to detail, Reilly debunks these fabricated incidents - many of them alleged to have happened on college campuses - and explores why so many Americans are driven to fake hate crimes. We're not experiencing an epidemic of hate crimes, Reilly concludes - but we might be experiencing an unprecedented epidemic of hate crime hoaxes. Who knew common sense could be so entertaining? 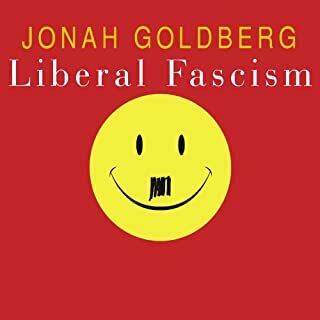 Combining intellectual history, social science, economics, and pop culture, best-selling author of Liberal Fascism, National Review senior editor, and syndicated columnist Jonah Goldberg makes the timely case that America - and other democracies - must actively defend liberty against forces pulling us back to the tribal and nationalistic ideologies of the past. The West is dying from ingratitude. Democracy and liberty were accidents of history. If capitalism were natural, it would have popped up long before the 1700s, when humanity stumbled into a miraculous explosion in human prosperity. This miracle was not delivered by God or created by machines. It came from new ideas and values. But what is created by ideas and values can be destroyed them. In this age of resentment, we reject the gift of liberty and instead listen to the lesser angels of our nature. We find comfort in authoritarianism, tribalism, identity politics, nationalism and aristocracy, all of which brutalized humanity for millennia. 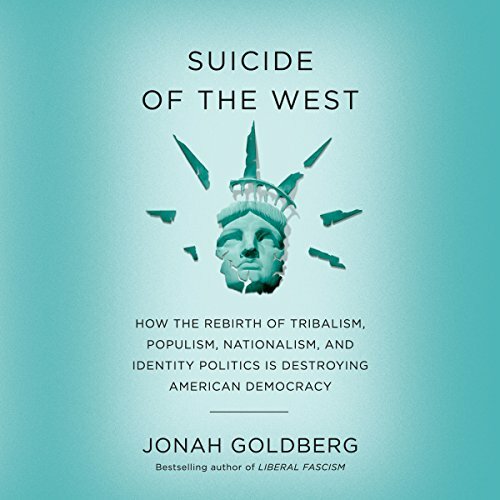 Goldberg exposes the West's suicidal tendencies on the left but also on the right - at a moment when many conservatives are surrendering to tribalism and nationalism. Suicide of the West asserts that for the West to survive, a renewed commitment to classically liberal principles is required. Suicide is painless; liberty takes work. How did I get here? What are these scars on my wrists? Masterfully diagnoses the crossroads to which the best civilization that humanity has ever known has come to. Western Civilization, Goldberg argues, is not about oppressing minorities — or any of the other slanders that the modern Left has hurled at it — it is the singular accomplishment of the human race. It, more than anything has led to “happy, prosperous, meaningful lives.” And now we face the choice: return to a “natural” state of foraging and fighting, or adopt GRATITUDE for what our forefathers (and mothers) bequeathed us and build upon it, as they did. Goldberg has done a fantastic job of presenting where we are, how we got here, and where we could go from here (both prudently and otherwise). If I could induce people, especially millennials, to want to read any book from cover to cover, this would be it. 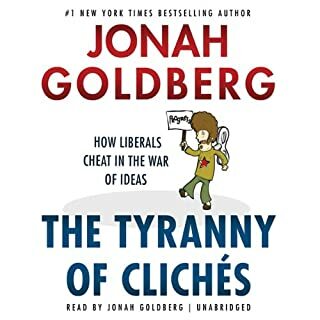 As is the case with his other books, Goldberg lays out his case in exacting, well researched detail, namely, that western liberal democracy and capitalism are flukes in the natural order and must be actively maintained and fought for, lest the weeds of human nature retake and reclaim. The west will not be slain by an external enemy, but without constant struggle, it will succumb to suicide. I'm generally to the left of Goldberg (so you know where this comes from) and I often disagree with many of the positions he takes, but find his writing well thought out and incredibly clear and interesting. I think it is critical for anyone who cares about the current state of the country and politics to read this book. Better to listen to it, as aside from a few idiosyncratic pronunciations (for instance, he can't say "globalist" without sounding mocking), Goldberg's delivery is superb and engaging such that you can tell he truly cares about the topic. It's much better than having some random narrator deliver it. The book builds a clear case for its thesis. It starts with a description of what made western liberal democracy so successful, and continues on to a theory on how we've gotten to today's climate and what can be done about it. While it does make some strong proclamations at the end, that's the purpose of such a treatise. 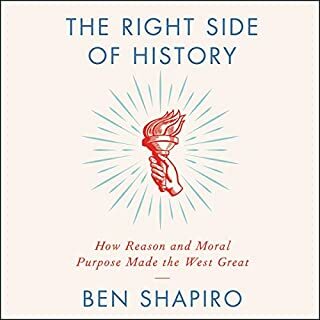 Whether you agree with him or not the case is well made and any discussion of the state of American Democracy today would be wise to include, if not be founded on, this book, whether to build further or, as is my preference, to argue a somewhat different conclusion. This book has opened my mind to many areas throughout life. Not only in the political arena but also in a cultural level. Love the history lessons throughout the entirety of the book. One thing that really sticks is nationalism and progressivism are populism which are driven by feelings but more by resentment. It pins “us” against “them” and if we believe our constitution will last these emotional responses then we’re naive. “A Catholic viewed it as a threat when a Protestant held thrown and now we are heading that we when we view the opposing party a threat as well. We need each other to live in peace and harmony but we must have the conversations and not the emotional outbursts. Proverbs 16:32 (AMP): 32 He who is slow to anger is better than the mighty, he who rules his [own] spirit than he who takes a city. Jonah Goldberg is The Great Unifier. This book is just what we need to redirect the American conversation. Brilliantly argued and backed by a fascinating history lesson, the author reminds us what humility, gratitude, and principle look like, and why without them, we risk losing what makes us truly great. I do not agree with every little argument in this book, but the approach is what matters, and makes this book nothing short of inspiring. The conversation doesn't end here, it begins here. Jonah’s exposition on human nature, tribalism, and “The Miracle” should be a must read for every high school and college student. However, this book becomes an transcendent instant classic with his argument (with appropriate passion) about the indispensable virtue of gratitude. I will be buying a copy for each of my children. I hope it will influence their lives like I believe it will mine. Everyone should take the time to listen to this. This is such a wonderfully written and constructed book. Changed a lot of ideas I previously had, and THATS what makes a book or an idea good. 10/10. i enjoyed the journey. 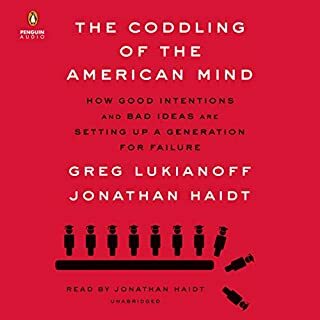 i think most of us should listen a few times due to the depth and wide range of topics, but the author does am excellent job weaving the themes together. Jonah & I agree on many of the facts he lists but the interpretation of them defines our differences. We both read Pinker, Haigt et. al. but understand them differently and so, see the world from a different vantage point- perhaps like Haigt's construct of the inate differences of values we hold. Goldberg somehow interprets the rise of man's fortune in the last 300 years as clear evidence of the magic of Capitalism, even though he points out that money, loans, markets etc have been around foor thousands of years. Steven Pinker's point that this clear and obvious advance has been on the back of the Enlightenment and the Scientific Revolution is barely acknowledged by JG. But his view that Identity Politics and Tribalism is growing and present a growing danger to America and liberal democracy is shared by all.